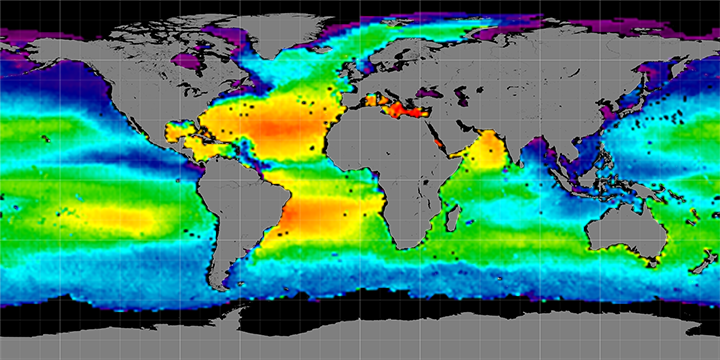 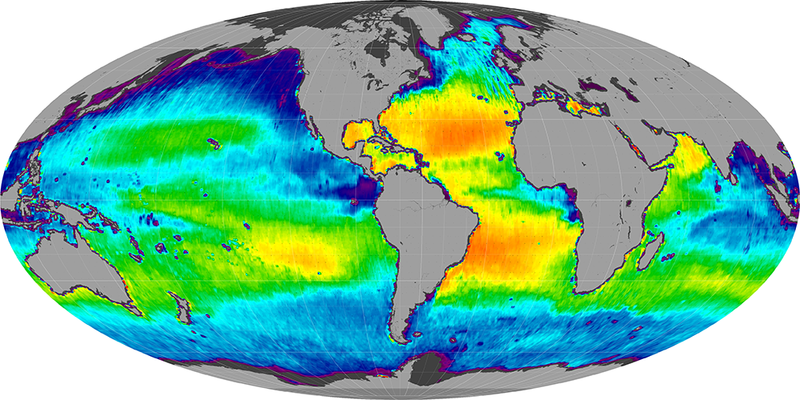 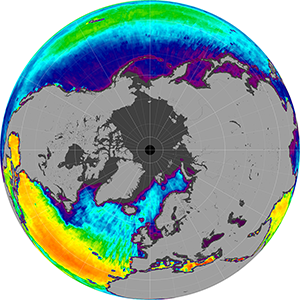 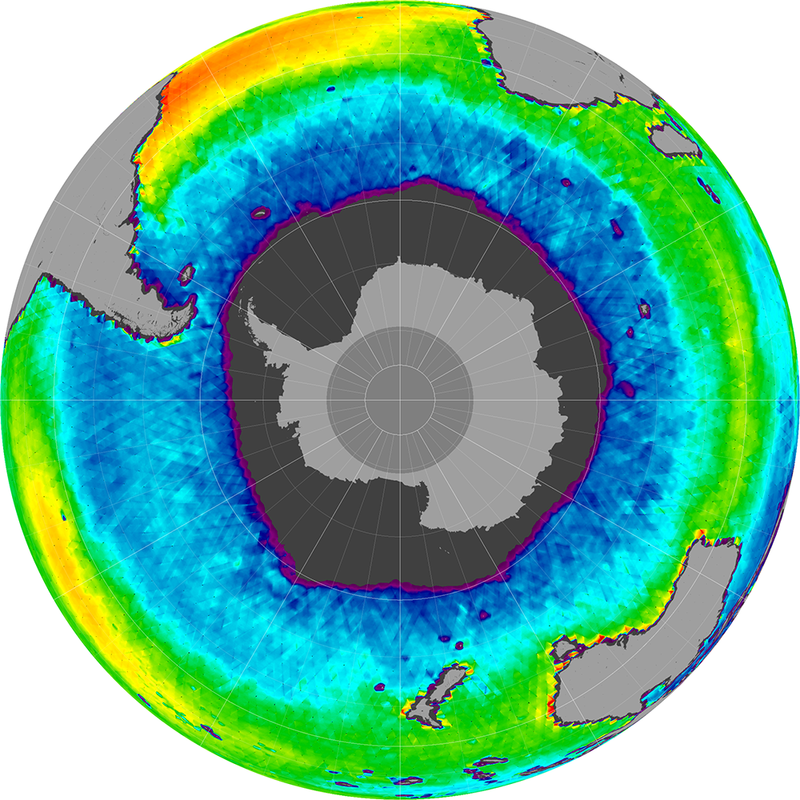 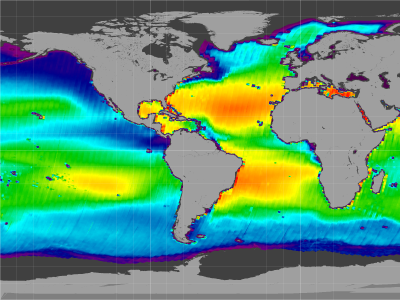 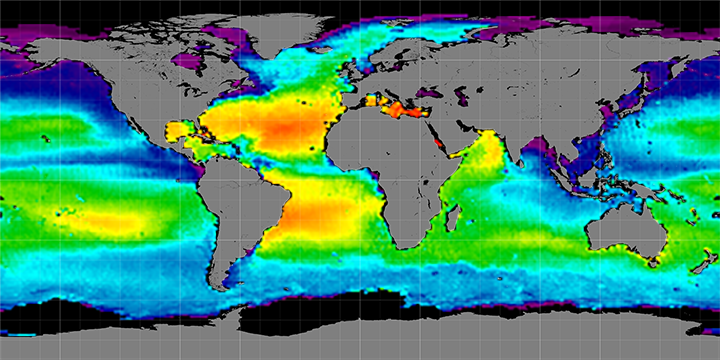 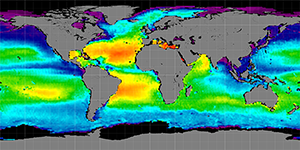 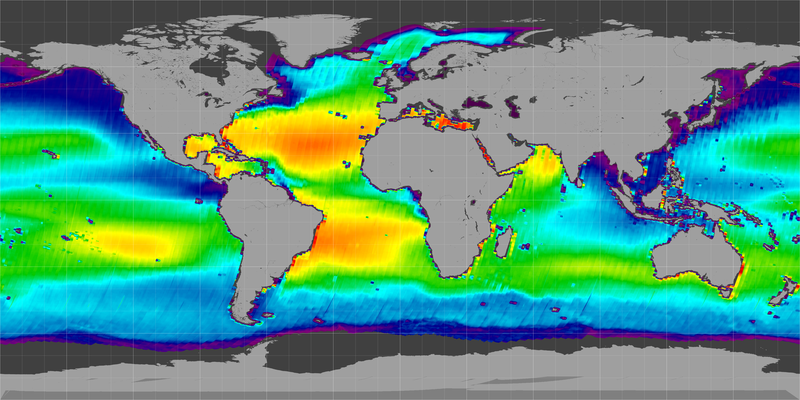 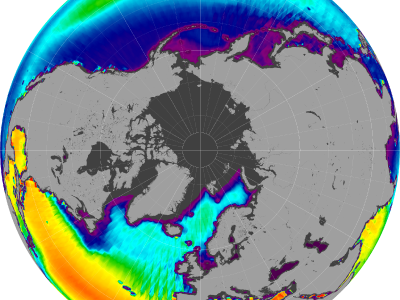 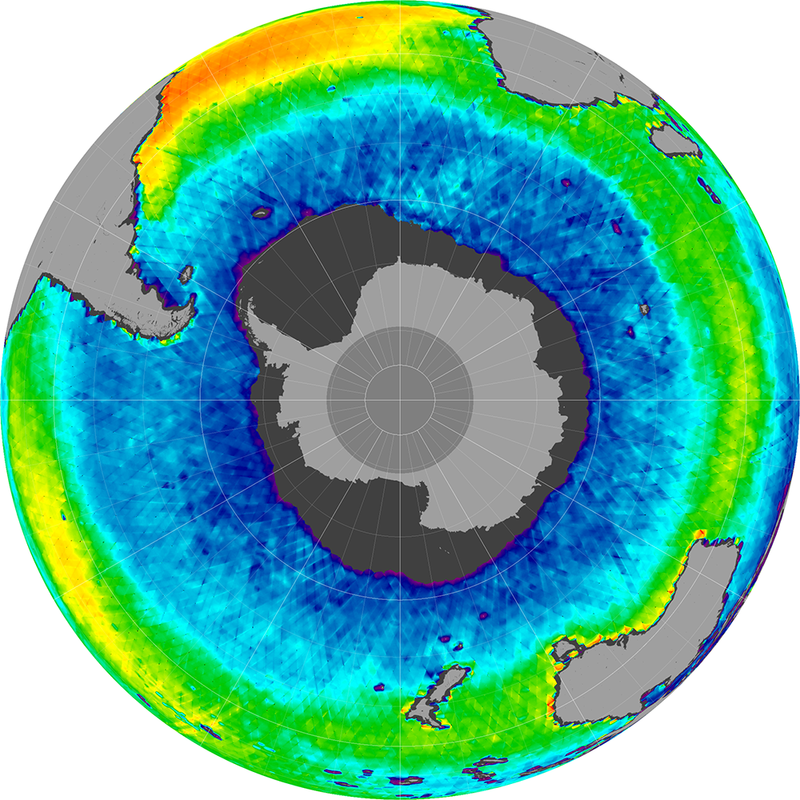 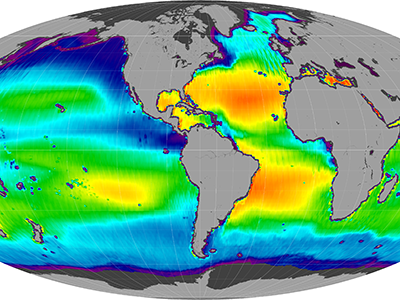 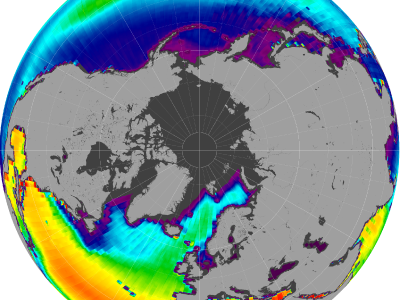 Slideshow: Monthly maps of sea surface salinity (hover over images to pause the slideshow). 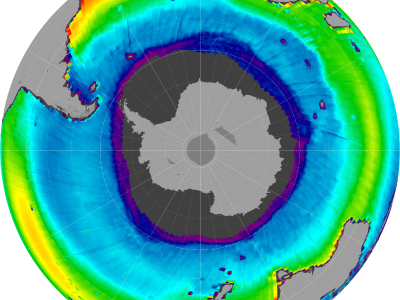 In the maps, reds show higher salinity (40 grams per kilogram) and purples show relatively low salinity (30 grams per kilogram). For weekly views, click here then use the blue arrow to scroll through the gallery. 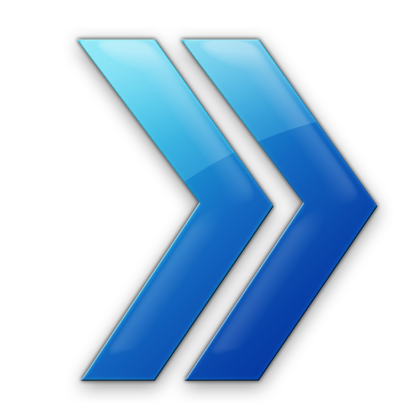 Click here to see a movie showing a year of Aquarius data in Mollweide projection (Dec 2011 - Dec 2012).